Available by invitation only, the Centurion Card is the world's rarest American Express Card and confers a level of service that can be extended only to selected individuals worldwide. Atta is the largest association serving and supporting business leaders in Africa. They have over 25 years of service tirelessly promoting African tourism to a worldwide audience. With over 450 members, Atta represent Africa's largest network of tourism product. They cover not only accommodation and travel specialists in Africa, but a formidable selection of tour operators, representation, PR and marketing companies promoting tourism to Africa. Atta has forged Memoranda of Understanding with similar organisations around the world forming an unprecedented network of travel specialists. 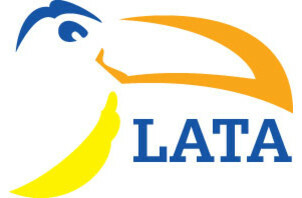 LATA was founded to promote travel to Latin America. The association brings together over 200 companies, including tourist boards, tour operators, hotels, media and airlines. Purple parking offer secure car parking in all major UK airports, as well as a meet and greet service to save time and hassle. Highclere puts together small groups of individuals to share in a number of top quality racehorses, enabling its owners to enjoy part ownership of a racehorse and experience racing at the highest level. Having produced seven champions, Highclere is the most successful racehorse ownership company in Europe.